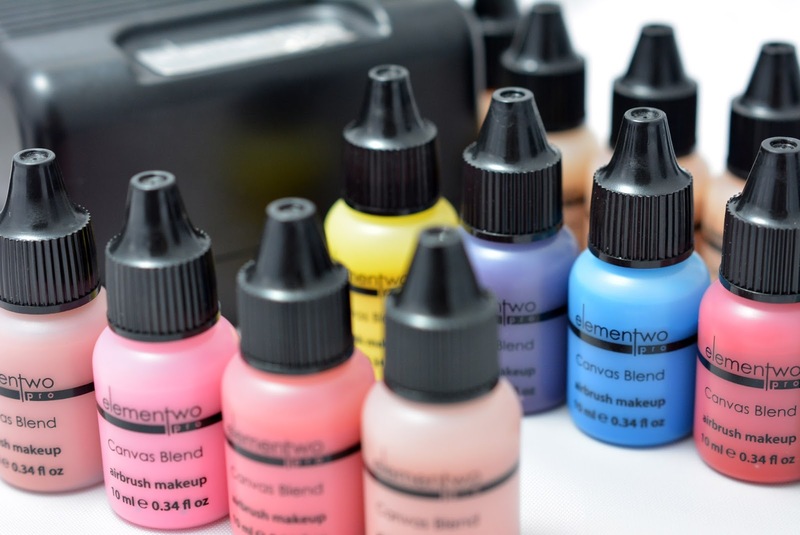 Elementwo is an international airbrush makeup brand that made its debut in 2012, and has kept a relatively low (but very stylish) profile catering mostly to professionals in the several countries where it is distributed. The brand was created in Taiwan and immediately distributed in the United States. Since then it gained a remarkable following in eastern countries such as Kuwait, Bahrain and even Japan. I had a first meeting with the brand at the Makeup Show in New York in 2014, and I am very happy to be able to review it in these pages now. Please know that a Pro Program offering 20% discount on all purchases is available from Elementwo Website. Elementwo ships to Europe at reasonable rates directly from its website (Custom fees and limitations apply). The first thing that stands out about this brand is the high quality of the tools comprised in the kit. Elementwo has a very close relationship with manufacturer Sparmax (also from Taiwan), which is the company that provides tools for most of today's popular brands of airbrush makeup. 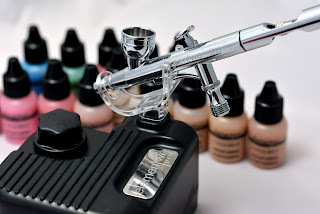 The reason of Sparmax's ubiquitous presence in the beauty industry is simple: they provide the best value for money around when it comes to tools for airbrush application. Elementwo offers two versions of its kit. The Perfect Skin Airbrush System features a one-setting compressor and a continuous airflow ("single action") airbrush. The PRO System, which is the one I received and that is featured in these images, features the same powerful compressor (up to 35 PSI output) with the addition of a pressure valve regulator right on the chassis of the compressor itself. The regulator has the same sensitivity of the hand held pressure valve typically found on quick-connect adapters, and will require a minimal practice to get used to the range it offers. The airbrush is the very reliable and sleek workhorse SP35, and is provided with a double action valve that is easily modifiable into a continuous airflow mode if so desired. Both compressor options have a pre-disposition for a battery unit, which can be purchased for Elementwo's website and which can be extremely useful for location or on set work. The kit comes in a very sleek, elegant packaging that includes a strong, long air hose, a power unit, an airbrush holder and a nozzle wrench, and a concise printed page with operating instructions. The idea at the core of Elementwo, (and the reason behind its name, I suspect), was to offer the same exact lines of makeup in a water base option (Skin Harmony) and a silicone based alternative (Canvas Blend), in order to cater to everyone's preferences and resolve once and for all the eternal struggle between silicone and water. Today the Skin Harmony line seems to have been put on hold in favor of the silicone based Canvas Blend option, which is the product we received and the one you can see being used in the enclosed video. 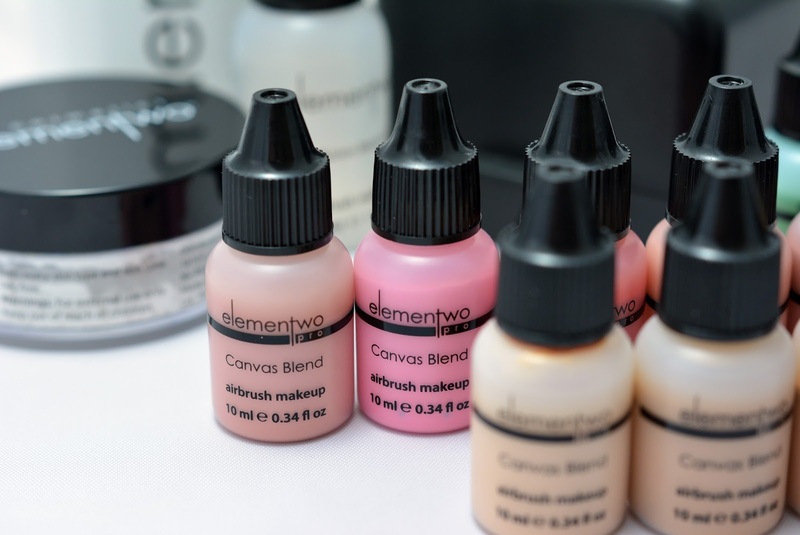 The range of makeup by Elementwo features 16 foundation shades, 10 blush colors, 3 bronzers and two highlighters. To complement these, an impressive range of 11 shimmer and 18 matte pigments have been added to be used for any option imaginable, from eyeshadows to body art. The Canvas Blend makeup is very fluid and the application feels very light, with a consistency that is very similar to that of water based products. When applying foundation, this allows for a very fine, imperceptible finish and a very natural overall effect, with the ability to cover imperfections well without having to color-correct first and without the risk of creating unsightly accumulations. You can see how well the coverage works when I am addressing my model's acne breakout in the enclosed video. The foundation shades have a mostly neutral undertone which adapts beautifully to most skin colors, with more pink or yellow options available as well. The blush and highlighter colors are very subtle and delicate, and again they create a very natural effect that allows them to be applied without fear on top of the foundation (as opposed to underneath, which I usually prefer). The bronzer options are more pigmented, but still very natural looking when applied carefully. 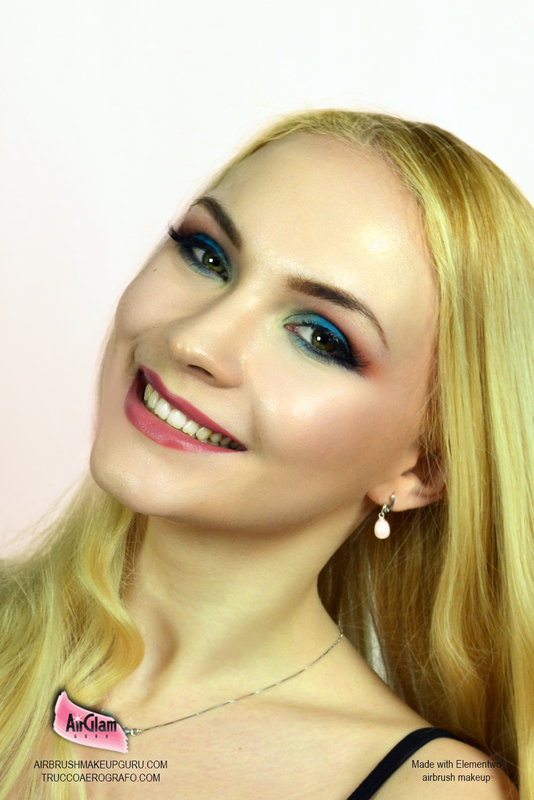 Finally the pigments offer endless creative possibilities, with an easy to blend, sheer finish that can be built up to full intensity and brightness simply by layering light passes, as I am doing for the eyeshadow in the video. As with any silicone product, it is a good idea to prep the lid with a mattifying lotion, dry each pass thoroughly and set at the end with a fixing spray or with a light dusting of HD powder. Once set, the eyeshadow will be water proof and stay perfect until removed. Like most silicone based products, the Canvas Blend colors are long lasting and once fully dry they become virtually water proof. Because of their light texture they are able to set in place quickly and the tendency to gather in fine lines is very reduced, requiring very minimal or no setting at all even in delicate areas such as under the eyes. This allows for a very natural finish while retaining high coverage. All the product lines are also completely fragrance free. The colors from each group are available individually in 1.15 fl.oz. (30 ml.) bottles, but they can also be purchased in pre selected, generous Starter Kits of .34 fl. oz. (10 ml) which are very convenient and which will allow you to try most shades with a smaller investment. You can select several of these Starter Kits for an even more convenient price when you purchase your kit from the Elementwo website. There are a couple more products that you can purchase directly from the website individually or as part of your kit. The H2O Infusion Moisturizer is a very light, clear liquid enriched with Hyaluronate Sodium and Aloe Extract that can be airbrushed before or (preferably) after your makeup application to add extra hydration and a very natural sheen to your foundation. The Flawless Finish HD Translucent Powder is a very fine fixing product that will set your makeup without altering its texture in any way. It is not absolutely necessary for foundation, as the makeup is pretty stable by itself, but it can provide you with added security and it will help a lot to maintain a matte finish on oily skin types trhoughout the day. Finally the Elementwo Airbrush Cleanser is the ideal solution to keep your airbrush in top shape. You will not need it at every color change, but it will be useful when switching from a dark to a light color, and of course at the end of each session. Purified water, cyclotetrasiloxane, cyclopentasiloxane, methicone, isoparaffinic hydrocarbon, glycerin, polyisobutene, cetyl dimethicone copolyol, acrylates copolymer, isoparaffinic hydrocarbon, talc, VP/VA copolymer, methylparaben, disodium EDTA, propylparaben.